Surrounded by a green garden, this studio has is only a few steps from the beach. Offers a seating area, kitchen area separated by a counter and 1 king size bed in a seafront bedroom. Features a garden and balcony for sunbathing with view to the Ionian sea. Includes sunbeds, outdoor table, BBQ facilities and on-site parking. Please note that the 3rd guest is accommodated in extra sofa bed. Please note that this room type is independent.The charming main village of Gaios is just a 15-minute walk away. Consisting of one sitting/dining room with sofa bed and doors to balcony. Arched bar separates a fully equipped kitchen area. Beautiful spot right on the Ionian Sea! 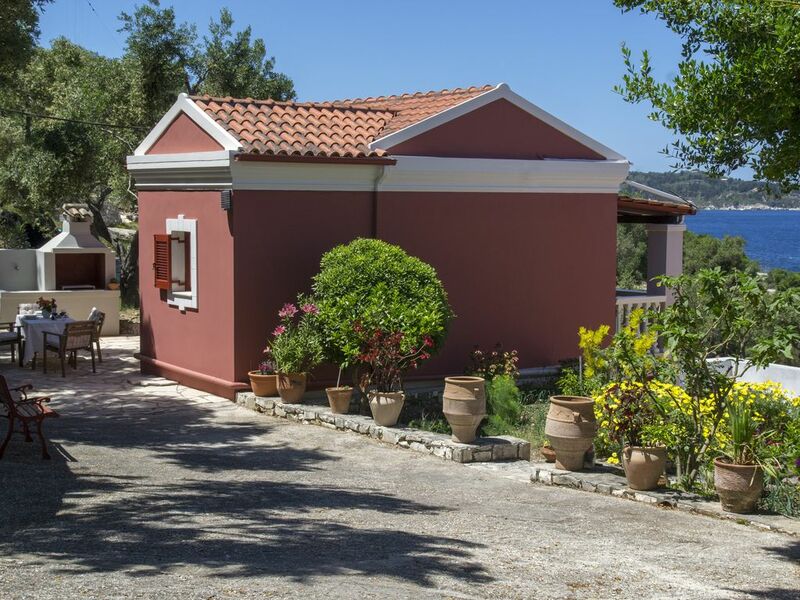 We absolutely loved our stay at Antonia's property Paxos Sunrise Villas. My husband and I traveled to Paxos for our honeymoon and we requested to rent the studio property but Antonia surprised us with a complimentary upgrade to a larger 2 bed/2 bath villa. All of the villas have a sea view and private beach/sunbathing access to a beautiful cove, with a stunning outlook onto the edge of Corfu and the Greek mainland. Antonia was communicative before our arrival and arranged to pick us up at the Gaois ferry port - literally a 5 minute walk from the Villas. Gaois itself is a pleasant 10-15 minute walk away. The villa was beautiful with all necessary amenities and it was cleaned daily. Whenever Antonia saw us in passing she would make sure that we were satisfied with our stay - and we certainly were!! We would happily return to any of the villas and would highly recommend it to others.